As North America looks forward to the arrival of Spring, we at Fairmount Fibers are also looking forward to seeing your projects inspired by these new patterns. All of the Manos del Uruguay yarns have such wonderful color palettes to work with your project, you'll want to find a way to use them all! 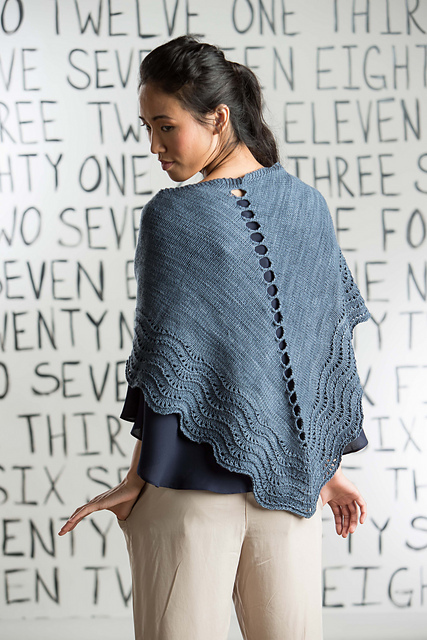 Katya Frankel's Stepping Stones Shawl is featured as the cover design of newest issue of Knit.Purl. Four skeins of Silk Blend are used in this textural knit. A kit for this design (including pattern and yarn) is available for a limited time from the Interweave store, click here to order yours today! 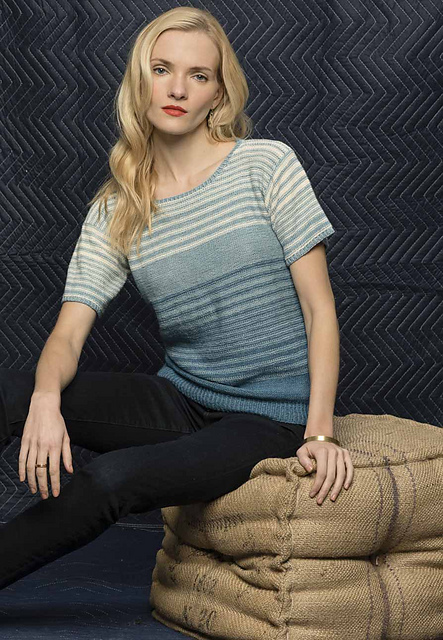 In the Spring/Summer Vogue Knitting is the Scoop Neck Tee by Yoko Hatta. Shown here in three colorways of Serena (#S2444 harbor, #S2457 tide, #S2590 natural), the fiber blend and our kettle-dyeing process give the colors a heathered, stonewashed look. The Cleo Wrap, by Dora Ohrenstein, uses an easy-to-remember crochet stitch pattern and six skeins of Serena to create this lightweight yet warm wrap. Serena is a season-spanning blend of pima cotton and baby alpaca has fantastic drape, a beautiful choice for crochet projects such as this. On the right is the Sriracha Twinset, published in the Spring 2015 Interweave Crochet. A spicy edge frames this updated twinset in Silk Blend. Designer Angelia Robinson recently blogged about the design process, click here to read more. 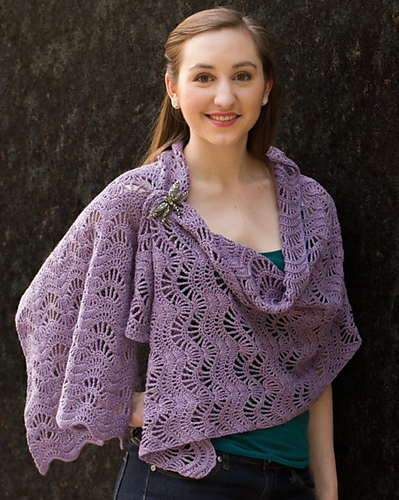 Items in the Fairmount Fibers Spring 2015 collection continue to be added to Ravelry queues! We hope you'll share your in-progress photos on your favorite social media channel. Shown above, top row left-to-right: Calida, Azahar, Galicia, and Asturias. Bottom row, left-to-right: Dorada, Maresme, Blanca, Vasca, and Mariscos.